Rouge D'Hiver, translated to 'Red of Winter', so aptly named as it does particularly well in the cool conditions of fall and winter. 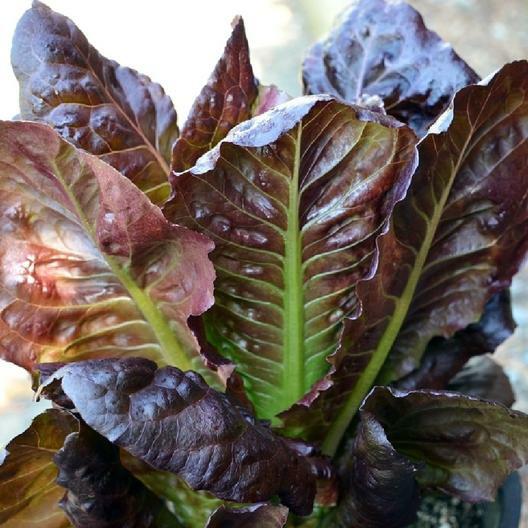 A compact, romaine-type head produces large smooth leaves up to 10 - 12 inches tall. Green heartswith reddish-bronze tinted leaves, enjoy this crisp and tasty addition to your salad that was introduced back in 1885.